Show your support of a goal-getter, dream-chaser and purchase the gift of Everyday Manifest. Starting with a vision board, each month we provide a fresh start and encourage everyone to dream big, set goals and commit to a 30-day challenge that will bring you closer to big goals and dreams. Includes a 30-day journal, habit and goal trackers, journal prompts and other motivational content. 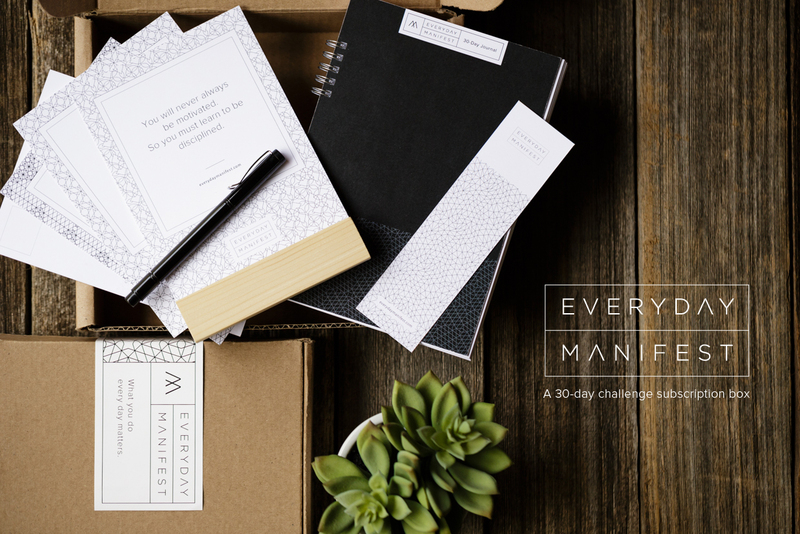 The Everyday Manifest subscription box is intentionally minimalist & thoughtfully eco-friendly.